But what specifically should you look for in a pair of running shoes? First, you need to decide how much cushioning you prefer. For some runners, comfort takes precedence and they’re willing to allow added weight in exchange for ultra-soft, maximum support. Others prefer their shoes to be as lightweight as possible, forgoing extra comfort for a nimble shoe that moves fast and doesn’t feel heavy or cumbersome. You also want to consider the materials. 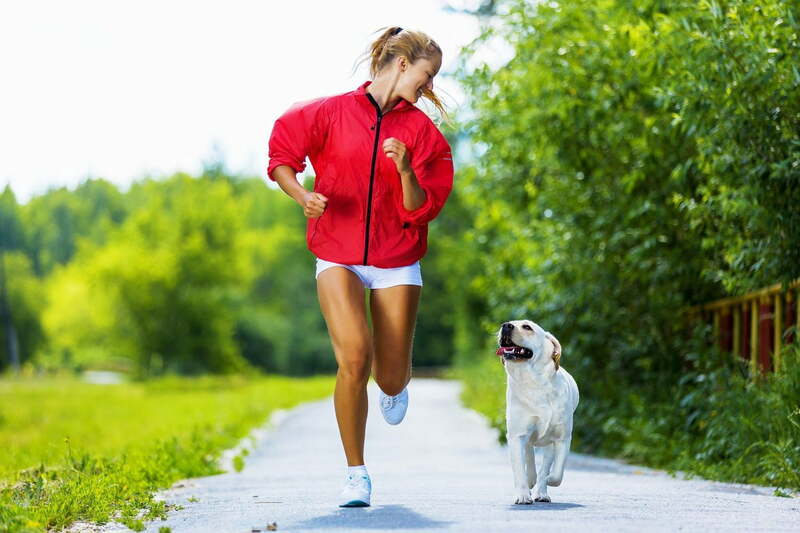 A great pair of running shoes will be constructed with light, breathable fabric so your feet don’t get hot and sticky. The foam should be responsive and dynamic with flexibility and support, while the outsoles should offer durable, tough material with strong traction. Whether you’re running on pavement or heading off road, here is a list of the best running shoes for women. Reebok’s Fusion Flexweave was specifically designed for high-impact running like sprints, speed training, and high-intensity interval training (or, HIIT). 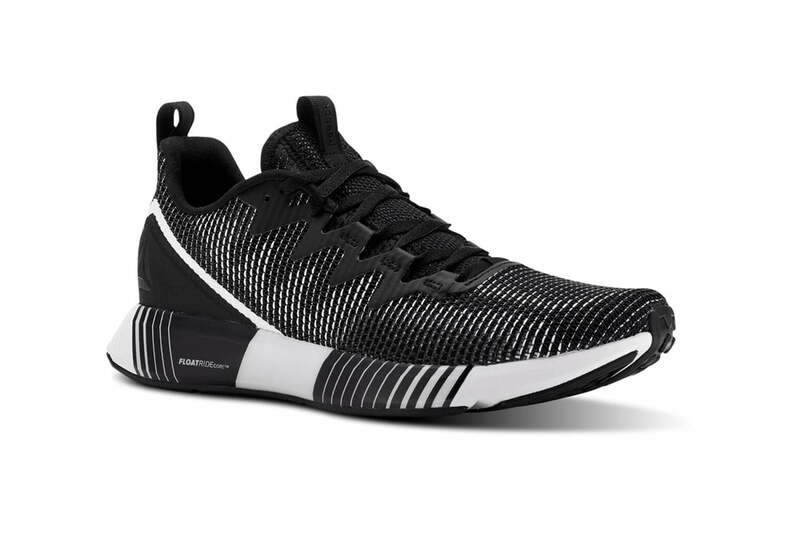 These ultra-lightweight, supportive road runners feature an upper made of Reebok’s Flexweave material, a figure-eight open weave technology that’s breathable and lightweight. 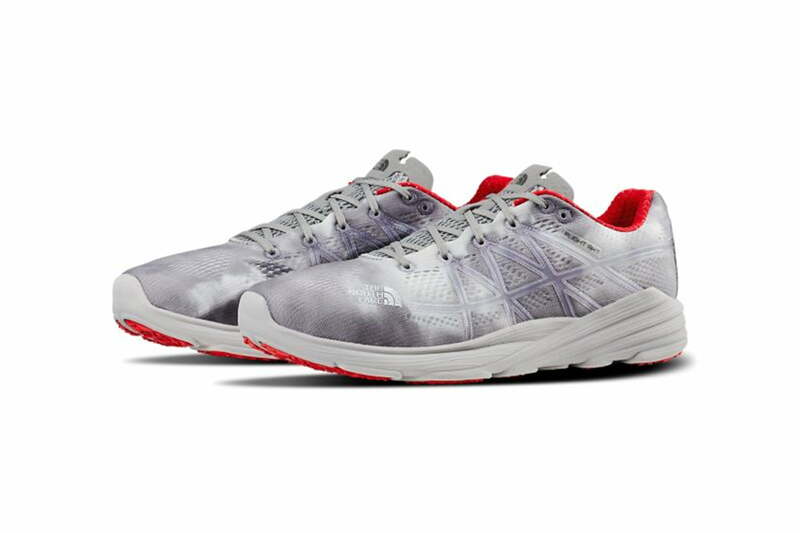 The Fusion Flexweave’s multi-dimensional cushioning sports the brand’s Floatride Foam core which provides great shock absorption and the meta split outsole offers supreme flexibility as you move. They also have a carbon rubber rim for grippy traction and overall toughness. At just $120, they’re cost-effective and look good on your feet. 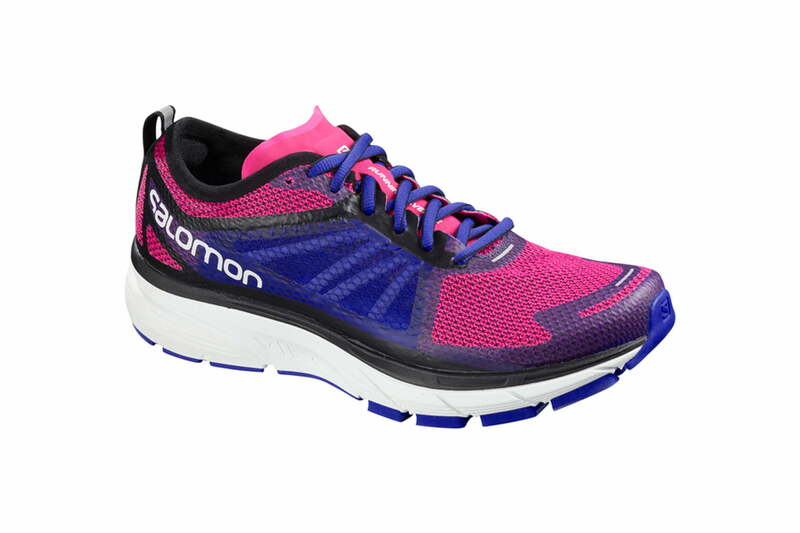 The shoes are part of Salomon’s Running Avenue (RA) line which combines Energy Cell+ in the midsole with an adaptive Opal cushioning compound, both of which work together to attenuate vibrations, lessening the load and easing foot fatigue. The regular, $130 Sonic RAs are medium-cushioning shoes but you can get the model in light-cushion or max-cushion designs, as well. Next time you run, leave your fitness tracker at home — that is if you’re running in Under Armour’s HOVR Phantoms. 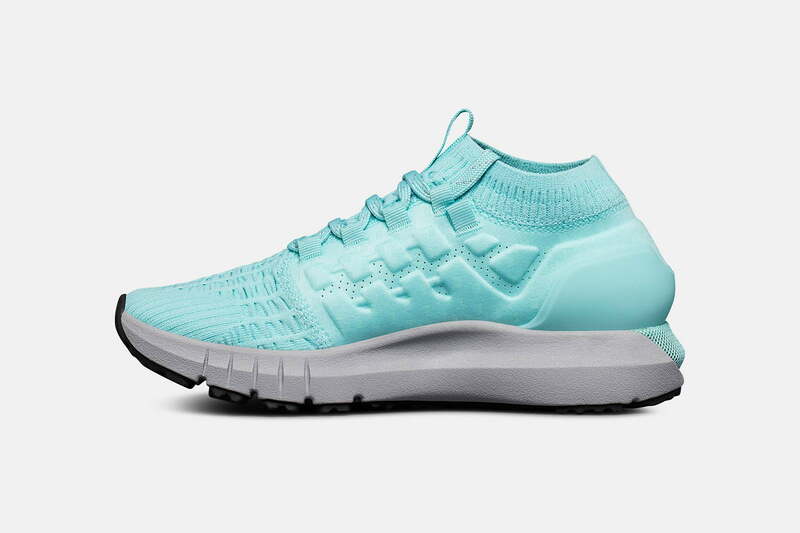 These innovative kicks feature the ability to actively track metrics such as distance, pace, time, calories, elevation, cadence, stride length, and a host of other exercise statistics. The sneakers map your route live while you run and even log area weather based on your starting location. Featuring MapMyRun app support, Under Armour allows you to easily keep track of your workouts over time and set goals or meet social challenges. Best of all, you don’t have to bring your phone on your run — the technology happens directly from the sneakers via tiny sensors embedded into the soles. Beyond the smart technology, these $140 shoes are lightweight and showcase HOVR foam which harnesses your energy and keeps movement dynamic. They also have a breathable built-in SpeedForm 2.0 sock liner with women-specific shaping to give you added underfoot support. If speed is what you’re after, it’s hard to beat North Face’s $120 Flight RKTs. These nimble trail runners are designed with adventure racing in mind, offering a weight-reducing podular outsole with spare, intelligently mapped rubber and a lightning fast midsole built with dual-density FastFoam. The mesh upper is airy and lightweight with a suede tongue that resists sweat and moisture. Saucony’s Peregrine 8s are some of the most versatile trail running shoes you can find — and at just $120, they’re a steal, too. Equipped for everything from smooth, well-kept trails to rugged, technical terrain, they offer incredible traction via their burly PWRTRAC outsole with 6.0-millimeter lugs. 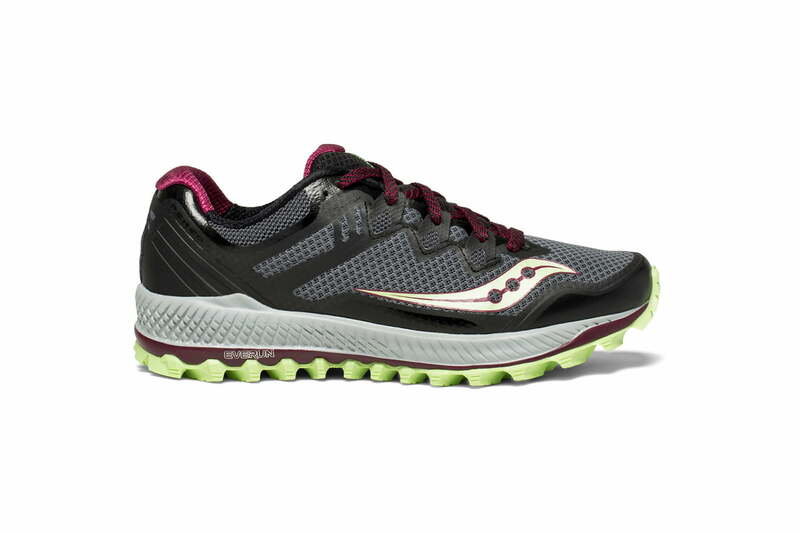 They feature an exceptionally responsive and well-cushioned EVERUN topsole which provides solid support along with premium comfort, while the PWRFOAM midsole absorbs shock and keeps your run smooth and steady. 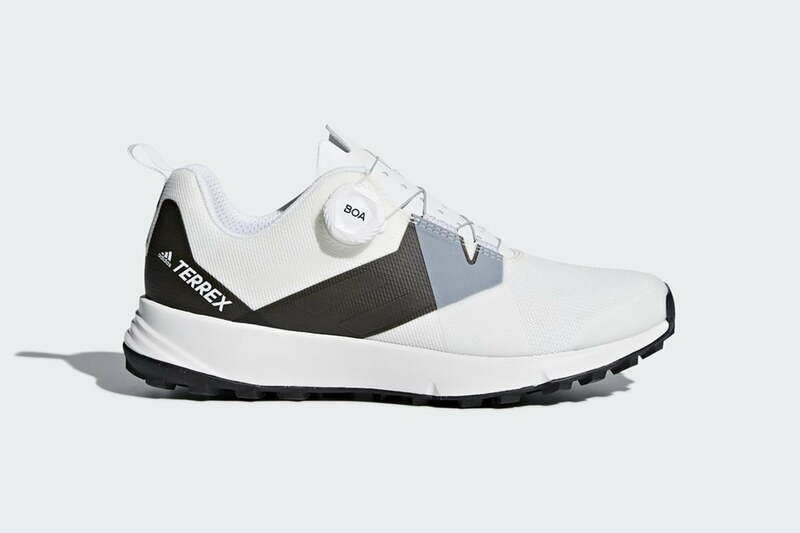 Adidas is a well-known name in the running shoe industry but its Terrex Two Boa is perhaps one of its most innovative styles to date. Featuring a cutting-edge lacing system, these sneakers borrow the Boa technology commonly seen in helmets and snowboarding boots, allowing you to cinch them tightly with a simple turn of a dial. These shoes showcase Boa’s special L6 trail dial that’s made tough enough to withstand mud, dirt, and moisture. The Terrex Two Boa also sports a breathable upper with lightweight cushioning and a rugged Continental outsole that grips the trail whether you’re running on dirt, rocks, or mud. For $120, these sneakers are an excellent all-around trail companion that slip on in a breeze.